Join us for a private Italian wine tasting. 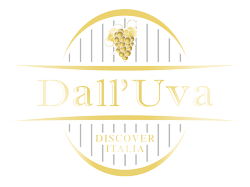 Come explore some of Italy's finest wines with Dall'Uva. We regularly invite our Italian winemaker and Sommelier friends to join us for our quarterly private wine tasting events in cities throughout the US. Add your name to our guest list. Our wine tasting events are by invitation only, and we limit attendance to just 20 people per event. 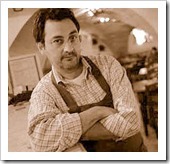 We maintain a list of wine lovers who want to join these very special, intimate tasting events, and notify them as new tasting events are scheduled. If you'd like to receive a personal invitation to our upcoming tasting events, fill out the RSVP form below and we will follow up with you, pronto. Our Sommelier Michael Horne is teaming up again with Sommelier & Winemaker Arnaldo Rossi from Pane e Vino in Cortona, Tuscany for our next private tastings in California and Oregon. Michael and Arnaldo have hand-picked 7 unique Italian wines from some of Italy's most passionate winemakers, flying the wines directly from the winemakers' cantinas to our tasting events. In this themed tasting, we are sharing and pouring fun, lighter wines for Summer that are great with Summer food fare and won't break your pocketbook. We'll start the evening with the classic Venetian apertif Aperol Spritz; kick start the vino with a bright and sassy Nebbiolo rosato from Piedmont; taste a delicious Cinque Terre Vermentino that goes great with pesto and grilled fish; marvel at a juicy Falanghina from just outside Naples; savor the perfect Chianti Classico for Summer BBQs; step it up a notch with a gorgeous Valpolicella; and finish with a delicious, micro-production Moscato dessert wine from Piedmont. The wines will be paired with a progression of light antipasti that highlight the magic of these unique and rare wines. To receive a personal invitation to these private events, complete the RSVP form on this page.